Energy-efficient living is more than just a buzzword; it has become a way of life for many homeowners in the Sacramento area. In addition to quality construction and innovative designs, many Silverado Home communities are designed with a variety of energy-efficient features built right into your new home. An energy-efficient home won’t just save you money by reducing electricity usage; it’s instrumental in protecting the environment. Here are three reasons why having an energy-efficient home should be at the top of your priority list. Living in a home that is energy-efficient versus a comparable home that does not have energy-efficient features can save you as much as 30% on your monthly electric bill. Using CFL, halogen, or LED light bulbs can also help you save anywhere from 30-80% on your energy bill. It’s the little things that count. By using ENERGY-STAR appliances and energy-efficient practices, you can save over 50%. Using less energy means conserving natural resources and helping to reduce pollution. It enhances your quality of life. Stay cooler in the summer and warmer in the winter. Having a home with quality insulation will keep the temperature inside at a comfortable temperature all year long. Living an energy-efficient lifestyle isn’t just about appliances in your home. 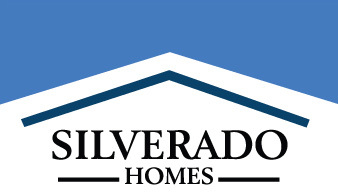 Silverado Homes uses a combination of design, high-end materials, and building techniques to ensure that each home built is energy-efficient. Their energy-efficient designs have air-tight construction, quality insulation, dual-paned vinyl windows, and Radiant Barrier roofing underlayment. These features will keep your home from letting outside air in and preventing your temperature controlled air from escaping, keeping your furnace or air conditioning unit from running longer and using more energy. Additional features found in Silverado Homes are high-efficiency air conditioners, gas forced air heaters, and tankless water heaters; all guaranteed to increase your energy-efficiency. In addition to energy efficient features found in our building materials and home interiors, one Silverado Homes community has even MORE ways to reduce your carbon footprint. Elverta Park, one of the newest communities found in Antelope near Sacramento California, boasts solar panel systems included with every home. You’ll notice the cost-saving benefit of solar panels right from the beginning. View our solar information here. If everyone does their bit in making their homes efficient, a lot of energy on our planet can be conserved, and fewer natural resources will be depleted. Visit our new home communities in Sparks near Reno Nevada or Antelope near Sacramento California to learn more about our energy-efficient homes. Buying a new home? It makes sense to use a preferred lender!